We are proud to be located in this up-and-coming area of the NYC borough of Staten Island – where a massive revitalization of the neighborhood is taking place. Our team is excited to serve you with complete eye exams and a fabulous collection of eyeglasses in our Staten Island eye care clinic. North Shore is not only the oldest area of Staten Island, but it is also the most densely populated. We are experienced and equipped to satisfy all the local residents (and people who travel in!) with leading eye care and eyewear. At Specs for Less, we’ll help you see sharp and look great! Do You Need An Eye Exam In Staten Island? Our optometrists will perform detailed vision testing to provide you with precise prescriptions. We will also inspect your eyes with a comprehensive eye exam, looking out for any signs of disease or abnormality. With the latest diagnostic technology in our North Shore office, you can depend upon us to optimize your healthy vision. If you require eyeglasses or contact lenses, we’ll help you choose the ideal eyewear for your fashion and budget! Contemporary eyeglasses range from traditional to funky, and we feature all styles in our quality optical collection. If you prefer contact lenses, we offer expert fittings and a wide range of brand-name manufacturers. To replenish your supply of contacts, bring your current vision prescription to our North Shore store; we welcome walk-ins! Have Fun In North Shore! At present, major renovations are being done around the Staten Island Ferry terminal, including new restaurants, hotels and the world’s tallest Ferris Wheel – due for completion in 2020. However, there are already many notable, existing landmarks and attractions to visit in North Shore, Staten Island. The Staten Island Ferry is perhaps the most famous local service, transporting approximately 22 million people a year to and from lower Manhattan. 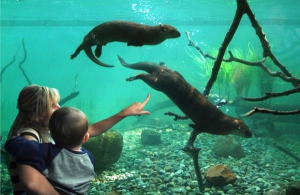 The Staten Island Zoo, which is only a five-minute drive from Specs for Less, is a popular family activity. You can tour eight acres of landscaped areas that feature critters from around the globe, with many engaging programs and tours held regularly. The Staten Island Children’s Museum (only 10-minutes from our eye care center) is a favorite indoor site for locals, with plenty of interactive exhibits for kids of all ages. If you want to learn and view more of the heritage of North Shore, don’t miss the Alice Austen House. Alice Austen was one of the nation’s earliest female photographers, and she resided in a lovely seaside home that was converted into a museum. You’ll be able to glimpse her life and work, as well as stroll through the surrounding gardens with magnificent vistas of New York Harbor. History buffs and nature lovers alike will also appreciate walking around Snug Harbor, which features a unique collection of buildings that display many architectural styles, such as Beaux Arts, Greek Revival and Victorian, all in one area. It once served as a home for aged sailors, and currently, this National Historic Landmark District is regarded as the sparkling gem of Staten Island! There’s no shortage of great food in North Shore. A few steps in any direction from Specs for Less will bring you to various restaurants to please any palate. If you’ve worked up a hearty appetite, we recommend that you try the all-you-can-eat buffet at Flaming Grill & Supreme Buffet. Another tasty nearby option is Popeyes Louisiana Kitchen, famed for its crispy chicken and flaky biscuits. For dessert or a sweet snack after your eye exam, we encourage you to journey along Forest Avenue and stop at the Cookie Jar or Renato’s Pastry Shoppe for winning confections. What else do you love about North Shore, Staten Island? Please share your favorite sites with us when you visit Specs for Less! As a service to our patients, we are pleased to offer the CareCredit card, the nation's leading patient payment program. Click here for more information.